When FC Barcelona begins re-assembling a full squad following the most recent international hiatus, they’ll be doing it with an intriguing schedule on the horizon. From 15 October to 6 November, the Blaugrana outfit face a half dozen tests, both domestic and continental, as they look to head into the late autumn in a position of strength, both in La Liga and in the UEFA Champions League. Two of the six matchups have international intrigue, as an old friend, Pep Guardiola, and his new club, ManchesterCity, visit Camp Nou on 19 October, before hosting Barça in northern England on 1 November. The back-to-back Champions League encounters will be among the biggest matchups in this season’s group stage. 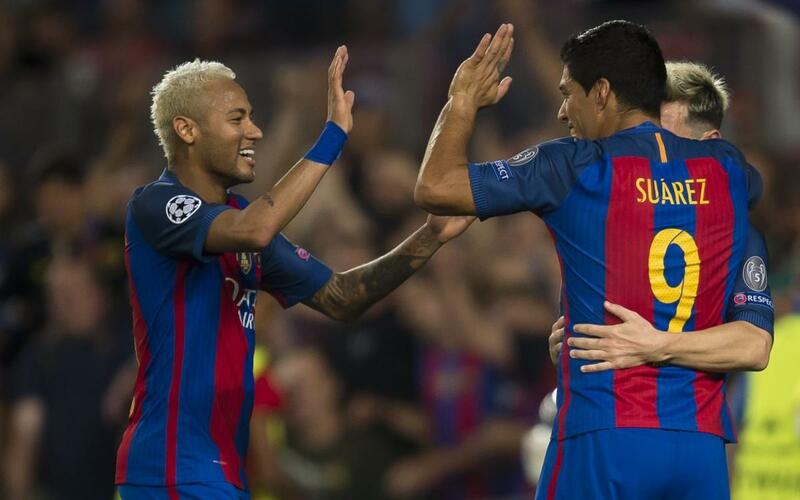 Barça also have four league games over the same period. Two of them huge road tests — at Valencia on 22 October and at Sevilla on 6 November. The Valencia game will pit the Barça players André Gomes and PacoAlcácer against their former team. The just-over-three-week stretch begins at Camp Nou on 15 October with an afternoon matinee versus Deportivo La Coruña. Then, before visiting Manchester City, Barça close out the month of October with another home game, this one against Granada on the 29th.